8 Gorgeous Payals For Your Wedding Day! 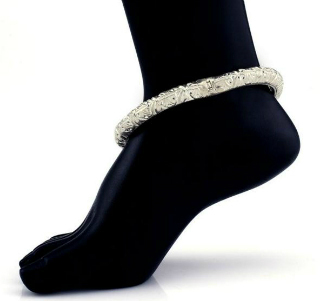 A payal is part of the traditional jewellery for a bride. And for good reason! 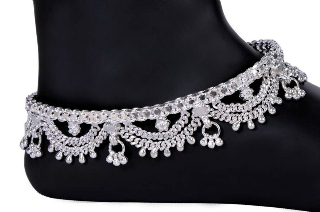 Every time you lift your lehenga, everyone will have a look at your beautiful foot jewellery! Which is why we have picked our favourite traditional bridal payals. They are all ‘oh so gorgeous’! 1. Phooljadi for your feet! We put it first because it’s our favourite! 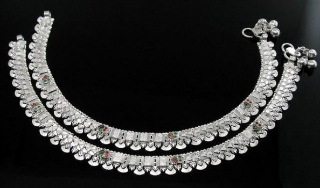 Unlike a traditional payal - which are usually silver - this one has enamel work on it. It differs in shape too - covering the entire foot. The floral motif and colours go with every lehenga we can imagine. Plus, it’s so pretty you can even wear it after the wedding! Price: Rs 7,700. Buy it here. 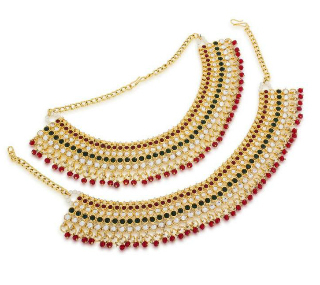 When your bridal jewellery is all kundan, then why not your payal? You’ll be light on your feet, and look so pretty! Price: Rs 3,663. Buy it here. When you’re looking for an option different from traditional bridal payals, this is the one to go for. Popularly known as the ‘tribal’ style, we can definitely see you wearing this after the wedding. Made from pure silver, we also love the name - ‘silver thandai’! Price: Rs 2,268. Buy it here. This pajeb literally gleams. And look at the fine, geometrical motifs on it! Plus, it’s made from pure solid silver. Price: Rs 5,525. Buy it here. You can’t get more colourful than this! Studded with American diamonds and beads, these payals are perfect for the bride who wants the look without the heaviness. Price: 1,999. Buy it here. 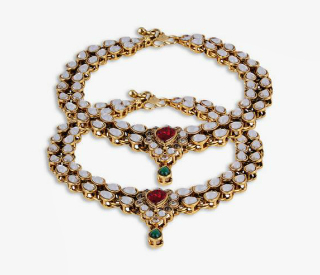 Not just kundan, this one has pearls too! That is such a royal look. We like how simple and elegant it is, without sacrificing the heaviness you seek from a bridal payal. Price: Rs 1,069. Buy it here. This is the most traditional a bridal payal can get. The interlinked chains, small ghungroos, fine flower motifs - we swear we’ve been eyeing our mom’s bridal payal like this for ages. Plus, it’s pure silver! Price: 6,632. Buy it here. Not into heavy jewellery and eyeing something more contemporary? 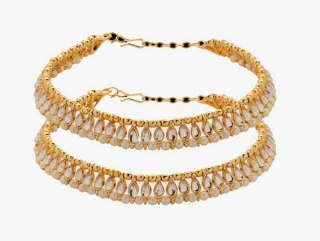 We have just the bridal payal pair for you! 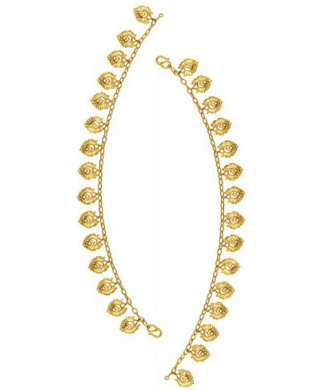 This leaf cut, gold plated pair is delicate and oh so pretty! Price: Rs 5,800. Buy it here. MUST-READ: Look Like Mastani! 7 Jewellery Pieces To Steal From Your Mom!